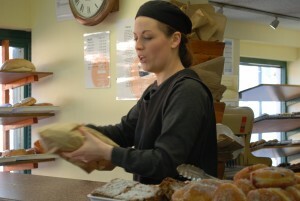 Scarrots Lane Bakery is a traditional bakery which bakes all its products from scratch. We have a huge product range which includes a variety of bread, savouries, pastries and cakes. The smell of freshly baked bread wafts from our bakery to fill the air in our retail outlet in Scarrots Lane, Newport. Our wholesale supply ensures that our products can be purchased in villages and towns around the Island. We believe in working very closely with our customers in order to deliver the right product on time and at the right price, we pride ourselves on our flexibility and commitment to delivering quality, service and reliability. Scarrots Lane Bakery can be found on Scarrots Lane, Newport, PO30 1JD.